Roush has a suite of custom product development tools we use to guide the design of our noise and vibration control products. 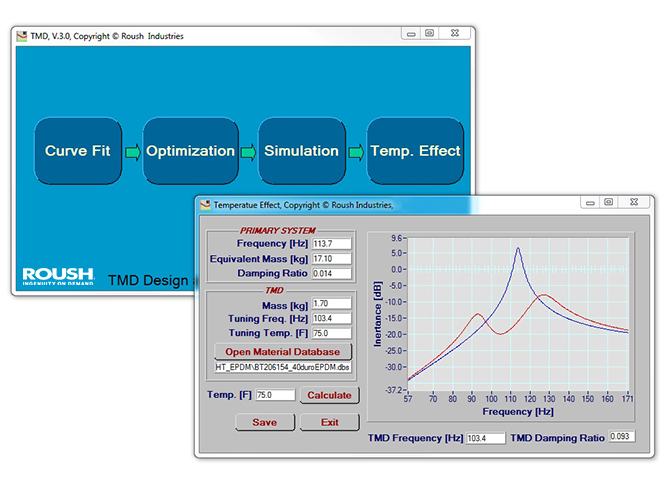 From tuned mass dampers to damping adhesives and material testing we have a tool that will help solve your problem. Roush provides viscoelastic material testing services for wide range of customers. 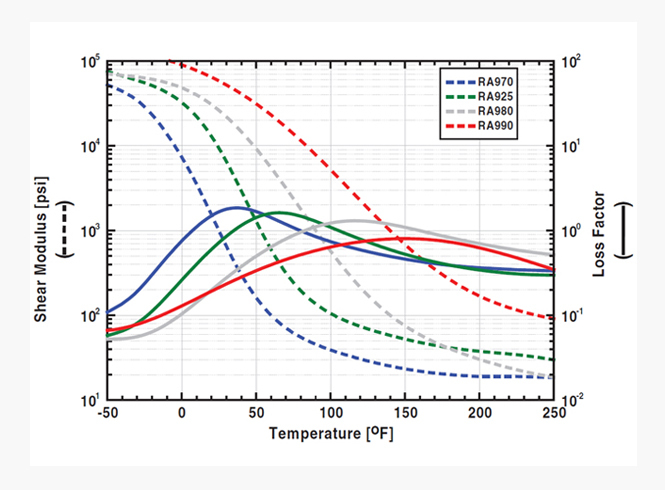 Stiffness and damping properties can be determined under a variety of test conditions. Our proprietary database of over 6,000 viscoelastic materials provides invaluable support for Roush’s ongoing NVH projects. 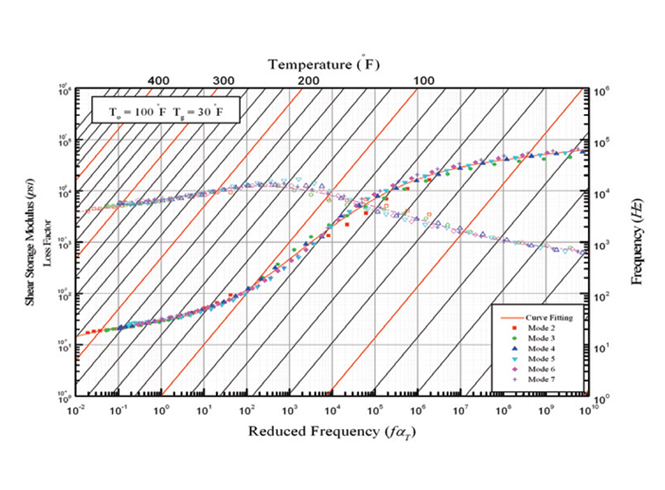 Roush’s tuned mass damper development software interfaces with Roush VEM™ software to accurately predict the performance of a damper.